Many of us take our ability to listen for granted. We listen to the sound of conversation, music, birdsong and traffic. Our ability to hear evolved over millions of years and goes all the way back to early fish who used a hair cell to detect changes in water pressure. Over time a series of special small bones evolved to form the inner ear that mammals, including humans, have today. For animals, ears are useful for sensing danger, communication and, in some cases, navigating the environment. The ear also provides an important sense of balance. Sound is a wave of vibrations that travel through the air or another medium. Humans can hear frequencies from 20 to 20,000 Hertz, or cycles per second, which varies by individual and declines with age. Some animals like dolphins and bats can hear up to 100,000 Hertz, while elephants can hear sounds as low as 14 Hertz. 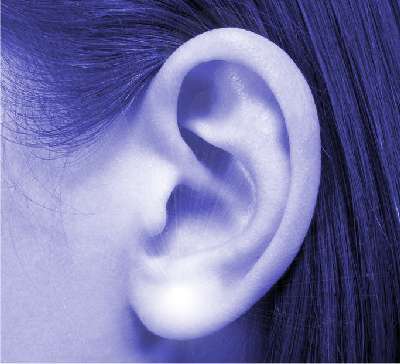 Hearing is the raw sense of picking up sounds, while listening occurs when we make sense of and apply meaning as we perceive what we hear. As social animals, our ability to listen, understand and communicate is so important that the frequency range we hear may well have evolved to optimise around the sound of the human voice. So, we have this amazing sense of hearing combined with powerful processing in our brain, which helps us make sense of what we hear.